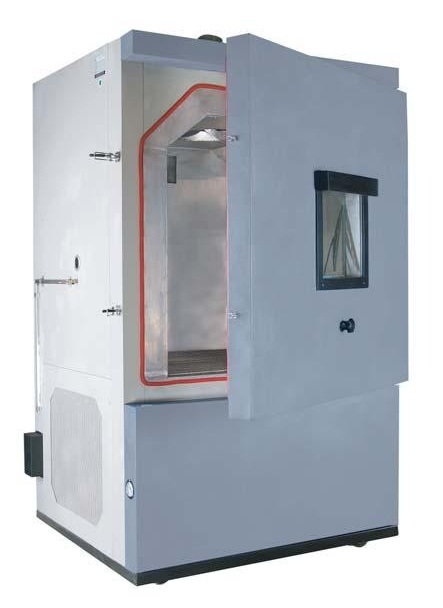 Our Dust chambers are designed for the simulation of dust in a controlled atmosphere in accordance IS:9000 standards. The IEC Range is designed for the simulation of dust in a controlled atmosphere in accordance to IEC-600529 DIN-40050 IPX5 & IPX6, SAE-J575, ISO-2065, IEC-60068-2-68 Standards. Our chambers comprise of a simple yet unique design with a uniform dust circulation. Test space: 1000 and 2000 litres. Non-magnetic stainless steel internal construction with duct collection section below test subject. Floating dust agitation with air velocity control provided by speed adjustable blower and motor. Viewing window with rubber wiper and rotating handle. Dust measuring devices as per standards.